We finally succeeded at adding PayPal to our purchase options. Please upgrade to the latest Path Finder 8.0.4 to make it work. Thank you for your patience! We’re super excited for tomorrow’s release of Path Finder 7 . We’ve already debuted Path Finder’s new icon for Version 7, and we were joyed to receive an overwhelmingly positive response so quickly. Below is the official Path Finder 7 change log, which highlights the biggest changes and fixes made in PF7. Thanks to everyone for your direct feedback throughout the PF7 development process, as it was greatly influential in forming the final product. We hope you enjoy using Path Finder as much as we enjoyed working on it! Automatically detects the installed Dropbox folder for the installed Dropbox application. In that case, asks to link to a Dropbox account. Allows manual linking/unlinking to/from a Dropbox account in the preferences. 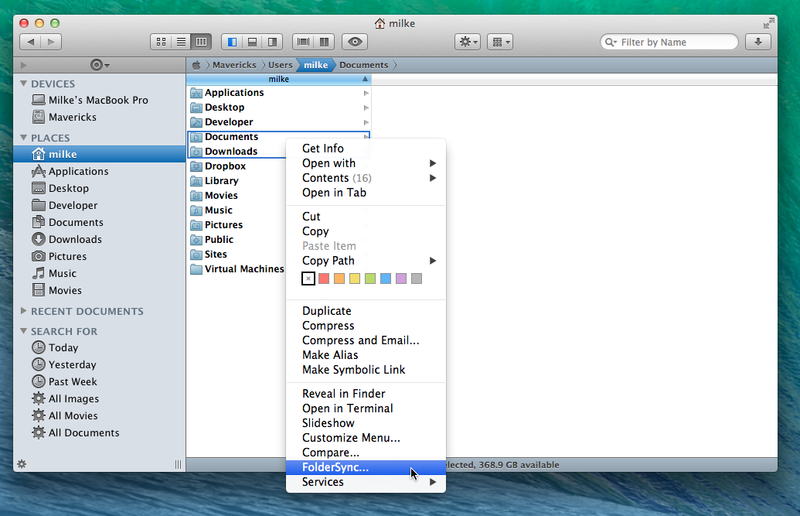 Offers standard Dropbox-related menu items in both contextual and action menu, just like Finder. 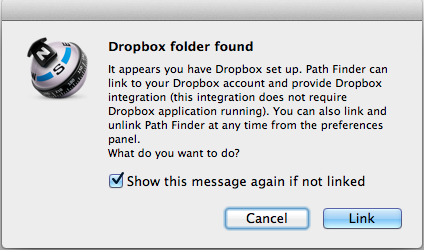 This items are shown only if Path Finder is linked to a Dropbox account. Their presence in menus can be configured in Contextual Manu preferences, just like for any other menu item. An article detailing FolderSync can be seen here. Should remove strange errors which sometime occur (OSStatus -36, -61, etc). Based on a modern API, dumps a deprecated File Manager API. Offers real folder merging when copied/moved folders have conflicting (same) names. On file conflict, offers to stop/skip/replace/keep both/keep based on the time stamp options. Completely redesigned and improved Path Finder Desktop, which solves the many desktop issues present in Path Finder. Improved placement of icons on the Desktop. Displays and arranges icons on any display in a multi-display environment. Remembers which display icons were placed in the multi-display environment and automatically adds/removes them as new displays are added/removed. Respects Desktop background image and color settings in the System Preferences and immediately responds to changes. Works with non-ASCII characters and different encodings. Added option to execute a particular command on a session start. Choose where to open a terminal session when executing “Open in Terminal” from the main menu: new window/new tab/new bottom module/new right module. Offers simplified but versatile options. Completely redesigned and improved icon view. Fixes arrow key selection (mirrors Finder default). Arranging items in groups based on a particuar file attribute, as in the Finder. This applies to the Find window as well. Supports a full range of view options- icon, list, and column. Features new and greatly improved icon view. Offers new “does not contain” and “is not” search queries, effectively excluding certain files from the search. Path Navigator now allows typing in a direct folder path. Path Navigator enters “editing mode” when double-clicked, exits that mode clicking anywhere else. Sports autocompletion, offering available folders paths while users type a path. Up to 4 configurable modules in the bottom shelf. Up to 4 configurable modules in the right shelf. 8 total, completely customizable modules. 11) Disable renaming and moving of users “home” folders. 14) Added Closed tab history (can be used to open any of the previously closed tabs). 15) Added Dual Pane mode one-click copy/move functionality. 16) Added ability to invert selection. 17) Better indication of present and available menu items in the contextual/action menu preferences. 18) Separate “Remove from Dock” options for Finder and Trash icons. 19) Vastly improved column autoresizing in column view, if option is turned on. 20) Added menu item/keyboard shortcut to add selected items to the Sidebar. 22) Improved browsing and root focusing in the column view. 23) Fixed ignoring invisible files when compressing/archiving files. 24) Switching to and from the column view no longer resets columns (as in Finder). 25) Added ability to change Sidebar color in color editor. 26) Added QuickLook gesture (three fingers tap). 27) Added “Where from” file info. 28) “Sort by” toolbar item added to the main window toolbar. 29) “Tab Sets” toolbar item added to the main window toolbar. 31) Added “Close all Tabs” action in the tab contextual menu. 32) Greatly improved “Set as Default File Browser” functionality. 33) Path Finder now prevents the system going to sleep while long file operations are in progress. 34) Added ability to change the color of the Text Editor’s background. 35) Sidebar sections can be moved & removed via drag and drop. 36) Favorite section now has drag and drop functionality. 37) Improved synchronization between Finder and Path Finder tags. 41) Many other small tweaks, bug fixes, and UI refreshments. We’ve released another patch, Version 6.5.3, in order to fix bugs introduced in both 6.5.1 and 6.5.2. A few days ago, we released 6.5.2 as a fix for 6.5.1. This caused some issues for some users who may not have been affected by the bug in the first place. This new Version fixes that and should be a stable version for all users. Please get in touch with us at support.cocoatech.com if you have any issues. During our release of Path Finder 6.5.1 yesterday, we noticed some users having an issue with scrolling within Path Finder. This was something caused by OS X, so we were able to pinpoint the issue and solve it rather quickly. You can download the patch by clicking “Check for Updates”in the Path Finder menu. Please visit support.cocoatech.com with any questions or issues. Cocoatech released Version 6.5.1 today for Path Finder 6, available as a free update to all licensed Path Finder 6 users. This update fixes some commonly seen issues, and helps ensure a better file managing experience. Please visit support.cocoatech.com for any issues you may have. 1. Browser window restores position after un-maximize. 2. Fixed exceptions when cropping a resized image. 3. Fixed Quick Look preview restarting (10.9 Mavericks). 4. 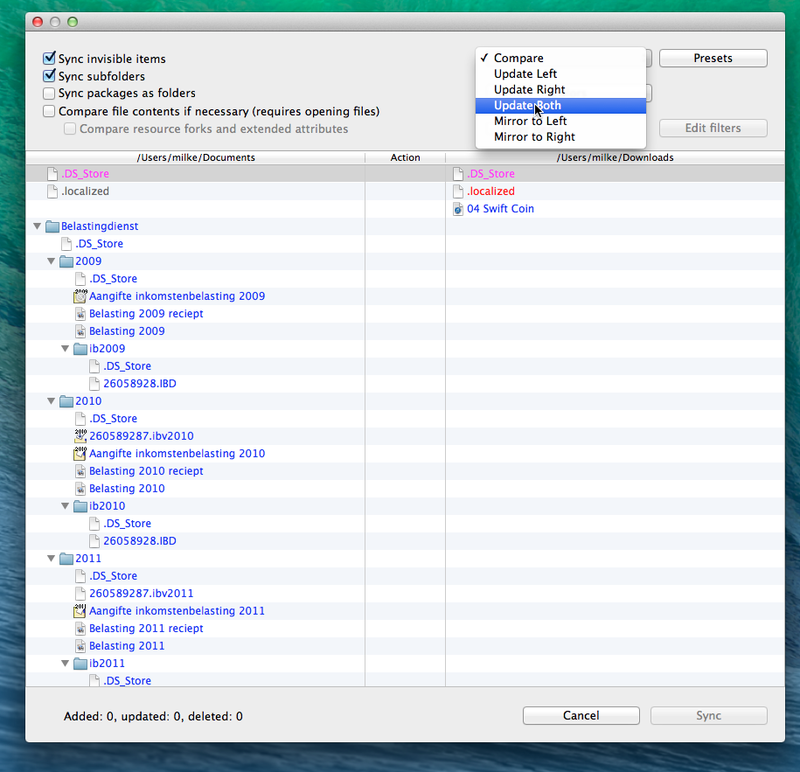 Fixed drawer openings for the Find window (10.9 Mavericks). 5. Fixed active window restoring when becoming active app with PF Desktop shown. Cocoatech has released version 6.5 for Path Finder, a free update to all licensed Path Finder 6 users which contains fixes to commonly seen issues and bugs. For any issues, please head over to support.cocoatech.com and start a discussion. 2. Fixed exceptions when saving image in the Image Editor. 3. Fixed exceptions some people experienced when using Text Editor. We have released an public beta containing a fix for the “Freeze on Launch” issue. For more information and to download the Beta, head over to our Open-Beta discussion, where you can report your findings on the beta and discuss with other PF6 users having the issue. Thanks for bearing with us through this difficult bug! Cocoatech has released Version 6.4.5 of Path Finder, which fixes some bugs that popped up upon the official OS X Mavericks release. Please note that there is still an issue some users are experiencing, with PF freezing upon launch of the app. While this update probably won’t correct the issue, we’re still spending a majority of our time on fixing it, and expect a complete fix in the next update. If you have any issues or questions, get in touch with our support team at support.cocoatech.com. 1. Column view headers fix for Mavericks. 2. Key shortcuts mapping fix for Mavericks. 3. Tiled desktop image fix for Mavericks. 4. QuickLook image preview fix for Mavericks. 5. PDF preview fix for Mavericks. 6. Path Finder no longer previews Mail .eml(x) files as text files. 7. Menu bar icon list fix for Mavericks.